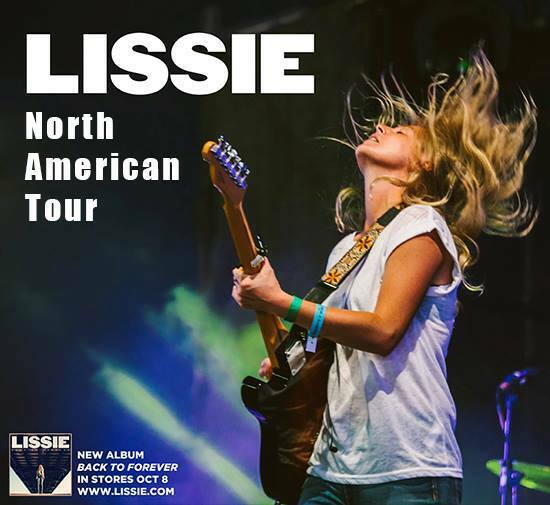 I’ve been wanting to see Lissie in concert ever since hearing her Daytrotter Session years ago, but outside forces have always put the kibosh on those plans. Monday night, I’ll finally get to see the Rock Island, Illinois native take the stage at Webster Hall. As soon as her latest album, “Back to Forever” was released in October, it landed in my “Best of 2013” playlist (so I obviously recommend checking it out if you haven’t already). She’s got such a lush sound packed with energy and raw emotion while maintaining a beautiful raspiness. It’s easy to hear why she’s been compared to Stevie Nicks but I would also add Neko Case and maybe a little bit of the Wilson sisters from Heart. Lissie has been selected to serve as Hard Rock’s IMAGINE THERE’S NO HUNGER artist ambassador in the United States. Hard Rock International, together with Yoko Ono Lennon and WhyHunger, just launched the sixth annual IMAGINE campaign, a global effort to fight childhood hunger and poverty through the support of sustainable agriculture education and nutritional feeding programs. Fans can support the IMAGINE program by bringing a value of $10 retail or $10 donation to the show. Hard Rock will “match” any/all food donations and fans who donate will get an Imagine backpack and bracelet. Hope to run into some of you Monday night! This entry was posted in Hear No Evil, Upcoming Shows and tagged lissie, music, Webster Hall, whyhunger by Mia. Bookmark the permalink.